Morgan Stanley, the US financial firm, have already publicly stated they have chosen Frankfurt. Paris, Dublin and many other European cities hope to attract those leaving the UK. In our last blog, we spoke about the demands of the relocation process and the challenges that the relocation of expatriate staff presents to HR and Global Mobility staff. The relocation process is not straight forward and can be impacted by a number of issues. Not least of all, is that of ‘culture shock’; a common complication in the relocation of expatriates. 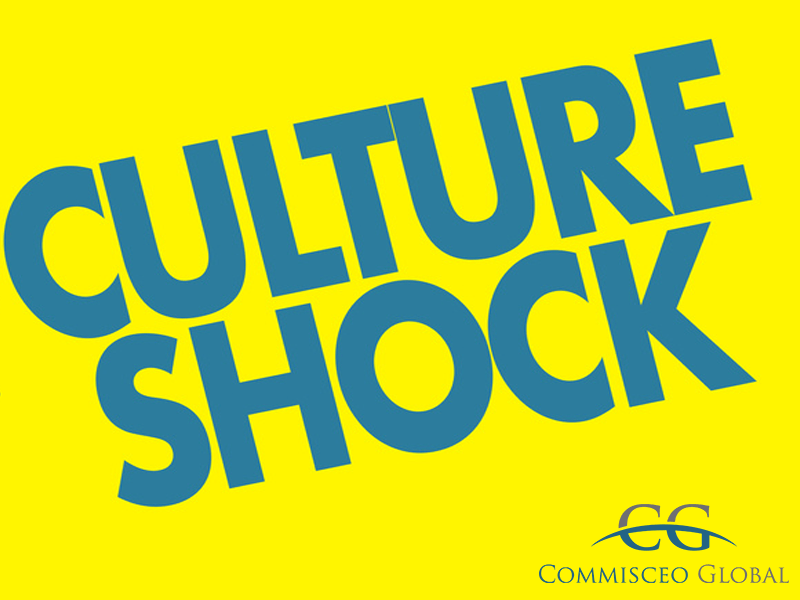 So, what is ‘Culture Shock’ and what can HR and those involved in employee relocation do to prevent it happening in the first place? Culture Shock is quite simply the disorientation experienced by an individual when moving from one cultural environment to another. Within the context of cultural training, culture shock relates primarily to international moves, migration and expatriate assignments. It is also one of the main reasons why expatriate assignments fail. The honeymoon stage describes the initial period of an assignment in which a newly relocated expat is excited about the move. Everything, such as local cuisine, cultural etiquette, entertainment, dress and language are new and stimulating. The expat is glad to be here at this point. The ‘negotiation’ stage is deemed to be the most challenging. It is also the stage at which assignment failure is most likely to happen. During this phase, expats who have received robust cultural training prior to departure are likely, not only to understand and expect this this experience, but are also likely to have been given guidance to help them work their way through it. Regardless, however, of the amount of cultural and preparation training invested by the company, there will always be a number of individuals who decide that they do not want to adapt or that they can’t adapt. These individuals will inevitably either return home or, continue resentfully in the assignment. The adjustment phase is the start to ‘recovery’ and involves the individual gaining an appreciation and understanding of the differences around them. They begin to understand the new cultural rules and they start to gain strategies to deal with situations. At this point in the cycle, life starts to become more ‘normal’ again. Assignment failure is no longer such a risk and the chances of the expatriate remaining in their role are enhanced. Adaption is the ‘golden’ stage – the stage at which the expatriate understands their environment and in which their strategies are now enacted subconsciously and automatically. They have adapted to their new environment and adjustment of behaviours, expectations etc are no longer an issue. Assignment failure is far less likely at this stage. The experiences that the expatriate has had will also no doubt equip them with strong international working skills and make them a good candidate for future expatriate assignments. So, what can stakeholders in HR departments and global mobility professionals do to ensure that expatriate relocations are not impacted by Culture Shock? Ensuring that the individual relocates with a strong understanding of the new host culture and an appreciation of culture shock is essential. This preparation will help the individual to adapt more easily and to view Culture Shock as an expected part of the relocation process. This mindset will help them to work through the ‘negotiation’ phase more easily. They will also have to hand a tool set and strategies to help deal with Culture Shock. In addition to cultural training, we suggest that stakeholders take the time to virtually introduce the expat to other members of staff in the new target environment prior to their departure. Understanding the experiences of colleagues who have already been through an assignment in the host location will be invaluable. We also recommend that a local member of staff acts as a 'buddy' not only to help with settling into work but also helping them to deal with day to day issues. Finally, we suggest that the expatriate is encouraged to communicate their feelings when adapting to their new environment. This can either be to a peer, a manager, HR or within the context of training/coaching. For example, when Commisceo provide cultural awareness training for someone moving abroad, that trainer acts as a mentor in that they are available to provide good support, tips and additional information once the move has taken place. To summarise, our advice is to prepare, prepare, prepare. Overlooking this critical part of the assignment process doesn’t only cost the company dearly. It can also have a devastating impact on the individual who may return to their home location with no role in place, a potential knock in confidence and, depending on pre-departure arrangements, no home to live in.